1// T. Swift perfume smells delish. 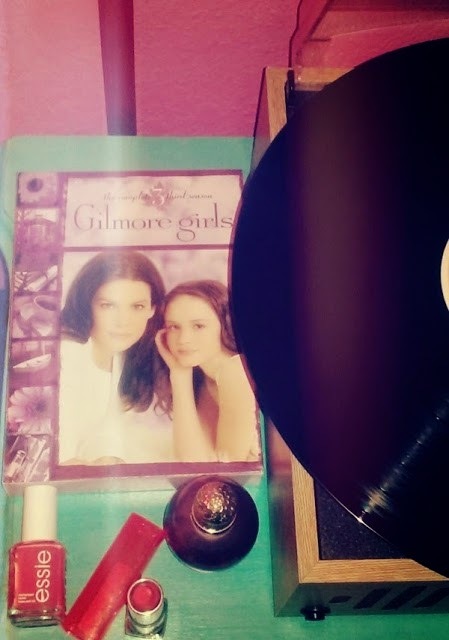 2// Gilmore Girls is ALWAYS a good idea. 3// Coral lipstick + nail polish. 4// My baby, currently spinning Lorde.